This article analyzes modern approaches in saving fuel and energy resources. Used oil recycling is the most promising way to preserve valuable raw materials. GlobeCore recycling technologies help reduce consumption of fresh oil by 25-30% and provide significant savings on purchase of new lubricants. World oil reserves are constantly decreasing. Costs of oil production is increasing. This makes the task of saving oil more pressing than ever. Recycled lube oil is considered the most valuable refined product and also one of the major potential for saving. It does not require large costs. 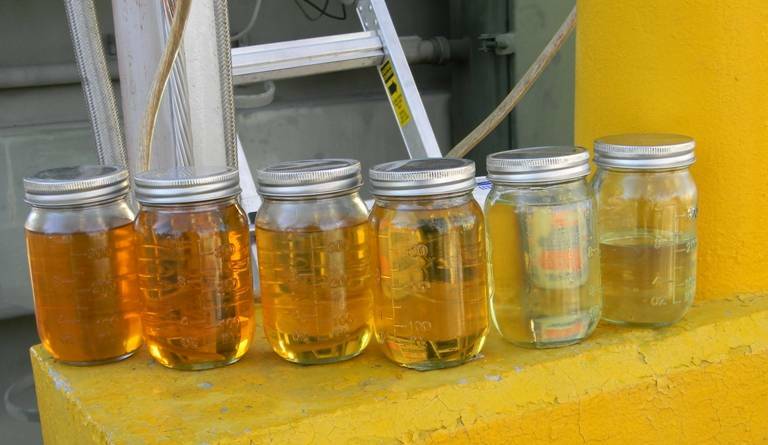 Saving lubricants uses simple technologies in oil recycing. It has been estimated that 1,000 tons of crude oil can give up to 100 tons of lubricants. At the same time 1000 tons of used oils can give 600-800 tons of recycled products. But in many countries the oil recycling potential is not fully used. Most of used oil is burned as a boiler fuel. Thus it is not considered that oil, which has lost its performance characteristics, is a valuable raw material for new oil products. The main reason for infrequent use of oil treatment technologies is a rare oil collection. At the same time, many countries, along with recycling, recover oil directly in the points of its consumption. This approach extends the service life of oil. There is a noticeable economy of fresh oil. There is no mixing of different kinds of oil at the time of their collection, saving all ingredients for further operation. GlobeCore manufactures high performance equipment both for the recovery of oil properties in the area of consumption, as well as for complete regeneration.